Are You Inviting Plastic Chemicals to Your Holiday Feast? Are you inviting plastic chemicals to your holiday feast? With a few simple changes you can ban several types of endocrine disrupters from your next celebration. Since exposure to even small amounts of these chemicals can impact your health, it's worth the effort. Holidays can be very stressful and there’s never enough time. When you chose items to prepare your holiday feast, convenience and great results are often factors. Roasting bags ensure a perfect turkey with less effort and canned foods can’t be beat for convenience. But with these benefits come health risks from exposure to several types of endocrine disrupting chemicals that migrate into food from these items. Antimony - possible carcinogen and endocrine disrupter, developmental, cardiovascular, and reproductive toxin. Phthalates - endocrine disrupters linked to diabetes, infertility, obesity, allergies and asthma, altered toddler behavior. BPA - endocrine disrupter linked to asthma, breast, liver and prostate cancer, diabetes, heart disease, infertility, and obesity. It is also thought to cause behavioral changes in children. Exposure to BPA can also reprogram an individual's genes and causes disease in future generations. Roasting bags are made with polyethylene terephthalate (PET), a type of plastic known to leach several types of endocrine disrupters into food and water. A few studies have found that the plastic components that make up PET (like ethylene glycol, a component of anti-freeze) leach from roasting bags into the fatty parts of turkey. A 2007 study that included PET roasting bags and ready-made products in PET baking dishes found that half of the products prepared at a temperature of 356°F exceeded the specific migration limit for antimony set for food contact material by the European Commission. Breastcancer.org recommends that women don't use roasting/steaming bags because the plastic residues may leach into food when heated in a regular or microwave oven. So instead of roasting bags, cook your turkey the way your mom did. Cover loosely with foil. Remove the foil for the last hour of roasting. And brush it with melted butter several times while it cooks. Beverage bottles are also made of PET and numerous studies have documented the leaching of plastic chemicals from PET bottles into water and soda. This leaching increases with temperature and storage time. The best way to avoid the plastic chemicals in soda bottles is to stop drinking soda. 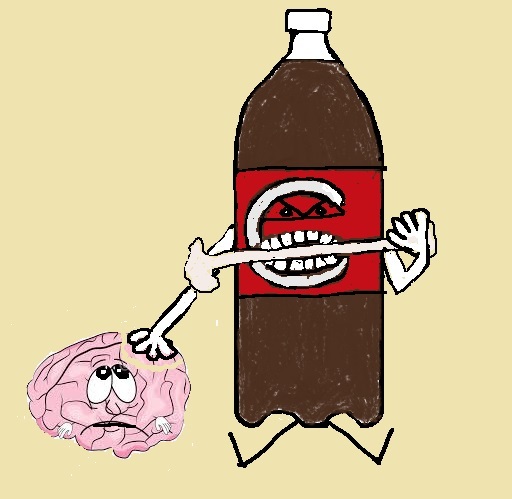 For better options check out Top 10 Reasons To Stop Drinking Soda. Instead of PET water bottles at your next holiday feast, try fruit-infused filtered water. I like to pour filtered water into a gallon infuser and add organic lemon slices and strawberries. Do this a day ahead of your feast for the best flavor, then serve in a pretty glass pitcher. Bisphenol A, or BPA is used to make epoxy coatings that line most of the 131 billion food and beverage cans made in the U.S. annually. We now know that BPA leaches out of these containers, exposing you to this endocrine disrupting chemical. Instead of canned gravy, cream of mushroom soup and cranberry sauce, try packed in glass jars or waxed cardboard (Tetra-Paks). Pacific has both gravy (needs a bit of tweaking for best flavor), mushroom soup and cranberry sauce in TetraPaks. Dole now offers cranberry sauce in cardboard. Gravy in glass jars is also available. For more information on BPA in Thanksgiving foods check out the study by Breast Cancer Fund. When you make your grocery shopping list for holiday gatherings consider swapping out items that are sources of plastic chemicals. They are easy changes you can make to protect your health. P.S. When I'm invited to a holiday gathering where these guidelines aren't followed I happily eat the turkey, thankful that I didn't have to cook it, but avoid the gravy. I also offer to bring the green bean casserole and cranberry sauce.